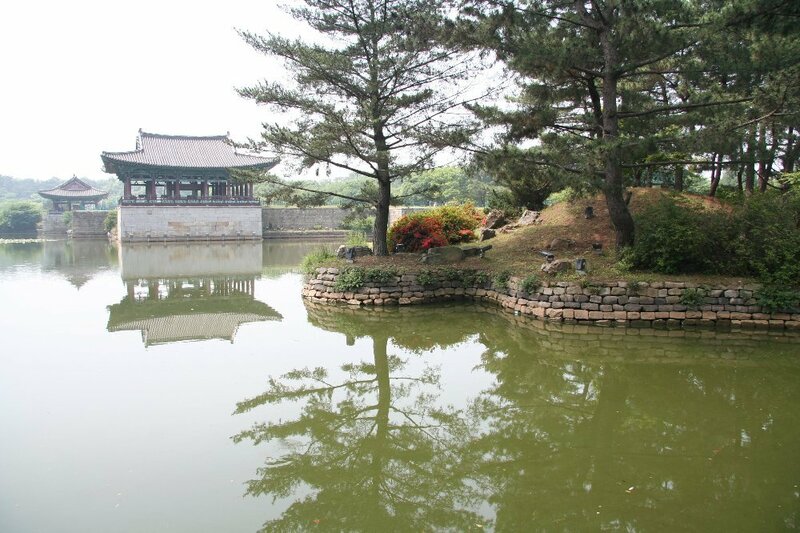 Gyeongju is one of the top ten historic city sites of the world being the capital of the Silla Kingdom for almost a thousand years. Temple sites with weathered stone pagodas, royal tombs, Buddhist bas-reliefs, and fortress ruins are scattered throughout the countryside surrounding this ancient city. 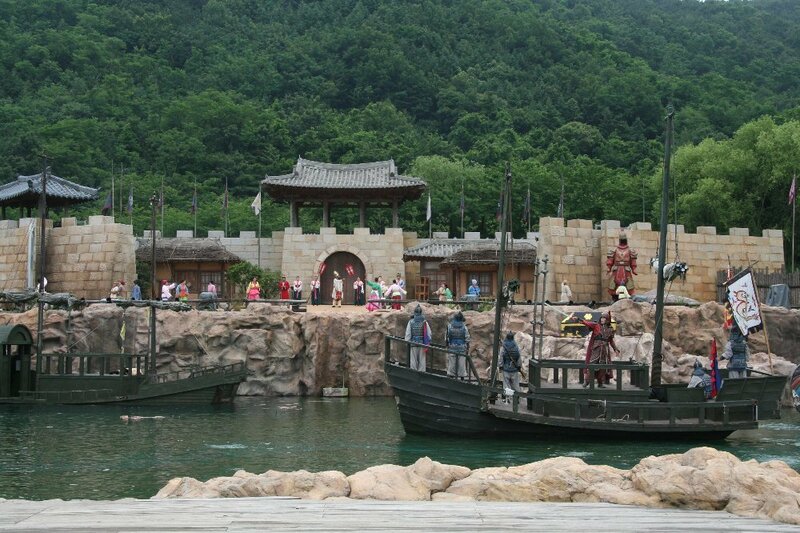 The theme park integrates both education and entertainment about the history and culture of the Shilla Period. (57 B.C.-935 A.D.). 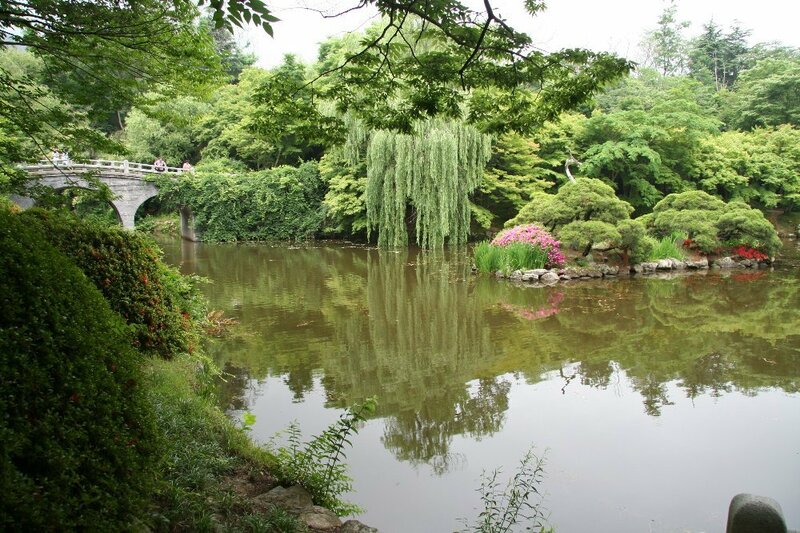 The park reproduces Shilla architecture and a village of aristocrats, tells stories about the period, and offers symbolic architecture such as Emile Tower and Seokbinggo. 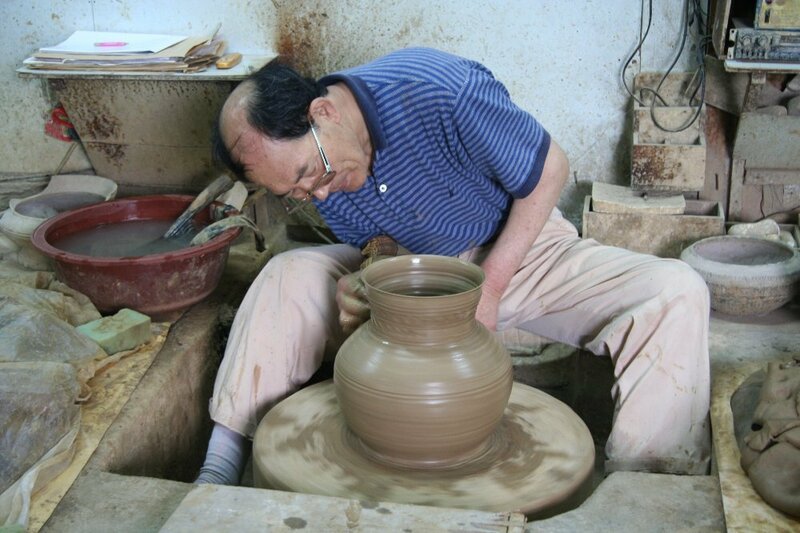 Visitors are also invited to participate in several crafts. The Seokguram Grotto is an 8th-century Buddhist cave temple carved in the hills above Bulguksa Temple. It is the only structure surviving fully intact from the Silla era and said to be one of the finest shrines in Asia. 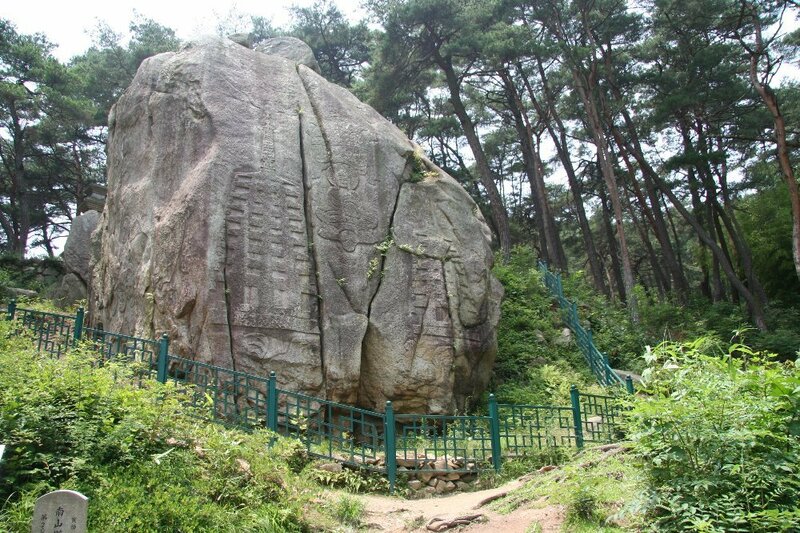 Seokguram was abandoned for many centuries until it was rediscovered by accident in 1909. The story goes that a local postman was caught in a rainstorm and sought shelter in the nearest cave he could find. Once inside, he lit a candle in the dark and found a gigantic stone Buddha looking back at him! Korea was under Japanese occupation at the time of the discovery and the authorities in Seoul ordered that the cave be dismantled and sent to the capital city. Fortunately, the local authorities dragged their feet and the plan was eventually dropped. It was originally founded in 535 by King Pob-hung, for the use of his queen to pray for the welfare of the kingdom. The small wooden temple was given the name Hwaeombeomnyusa. 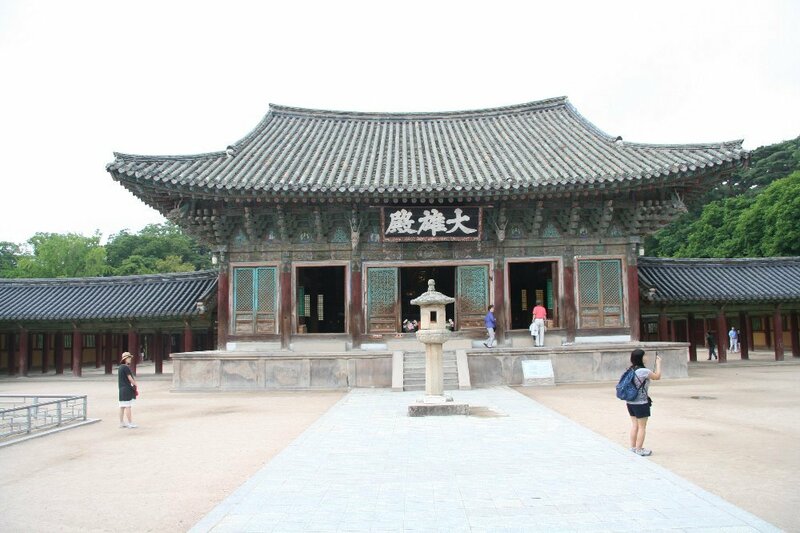 The present temple was begun in 751 by Prime Minister Kim Daeseong, whose life story is shrouded in legend. It is said that he was born clutching a seal inscribed with his name in his previous incarnation, Kim Daeseong. 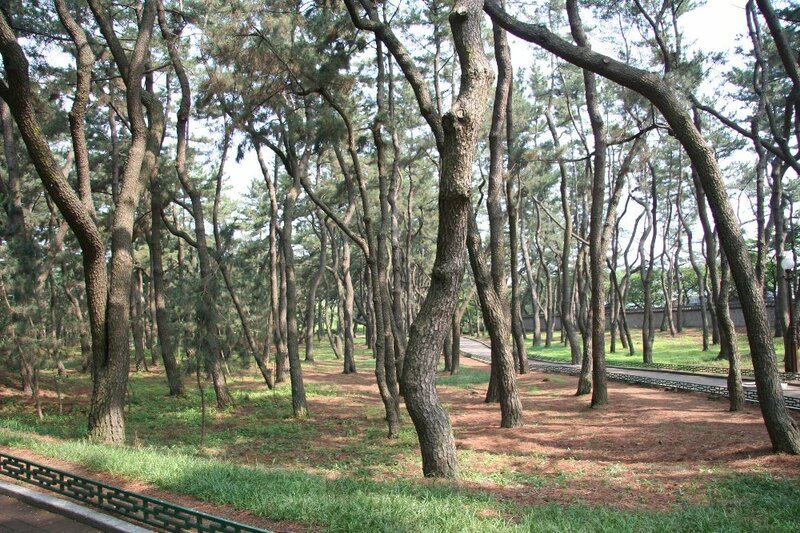 Known as Daereungwon in Korean, it has more than 20 large and small tombs from the Shilla period. The tombs are presumed to be those of kings and court officials. The dimensions of the tombs vary with heights ranging from less than 1 meter to 23 meters. 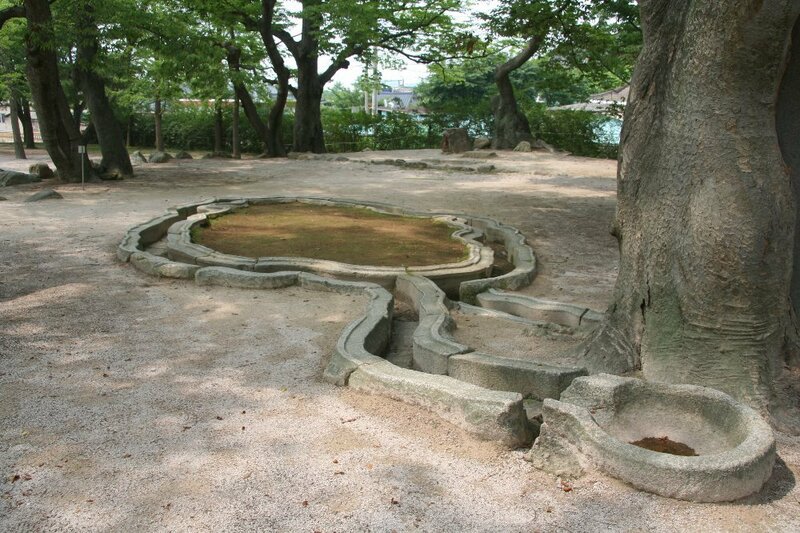 Most of them are earthen and mound-shaped. Some double gourd-shaped ones are for the joint burial of a husband and wife. 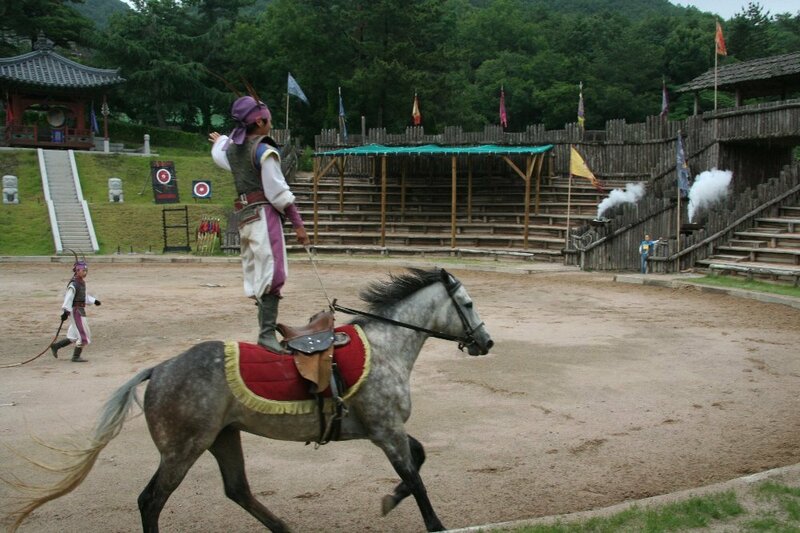 During the excavations of Cheonmachong (Heavely Horse Tomb) and Hwangnamdaech'ong (a double gourd-shaped tomb), numerous artifacts (including a gold crown, gold girdles, gold and siver personal ornaments, horse fittings, and weapons) were uncovered, all of which attest to the advanced culture of Shilla. 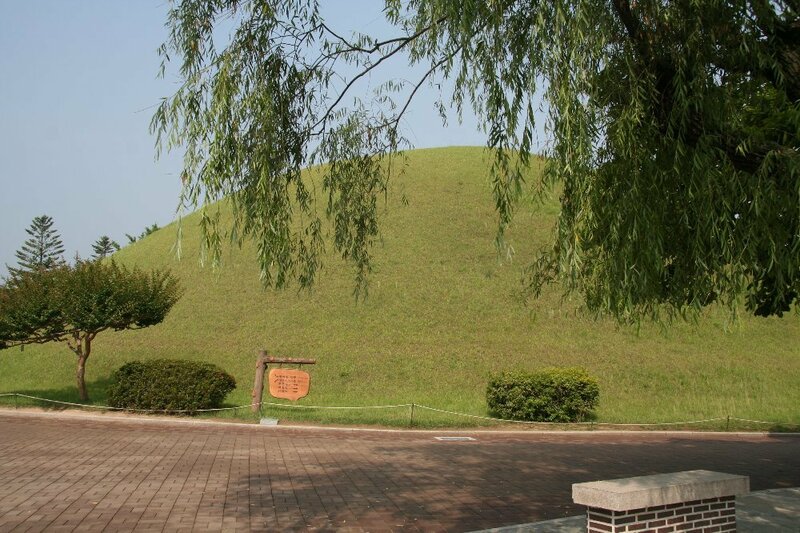 During the making of Tumuli Park, a number of ancient tombs were investigated. 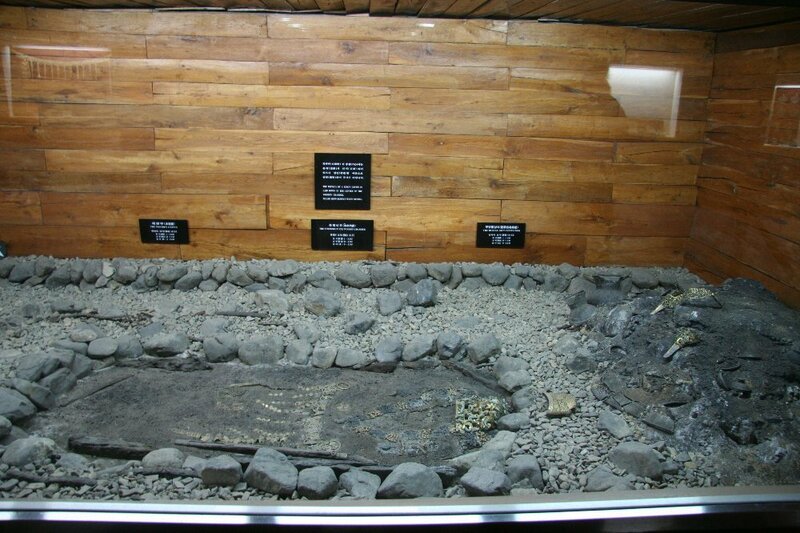 These included not only stone-piled wood-lined chamber tombs, but also jar-coffin tombs, stone-lined chamber tombs, and tunnel-type tombs, revealing the various burial methods during the Shilla period. Means "Star Gazing Tower." 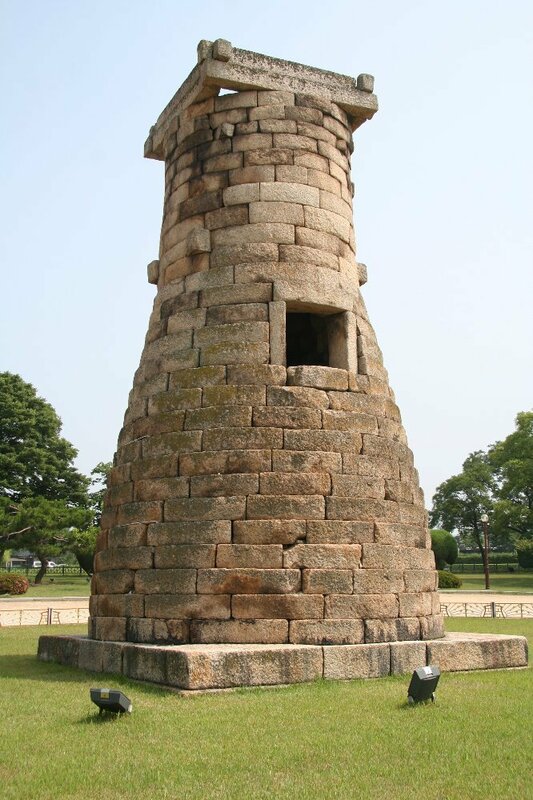 Built during the reign of Queen Seonduk in 634, it is the oldest existing observatory in the Far East. 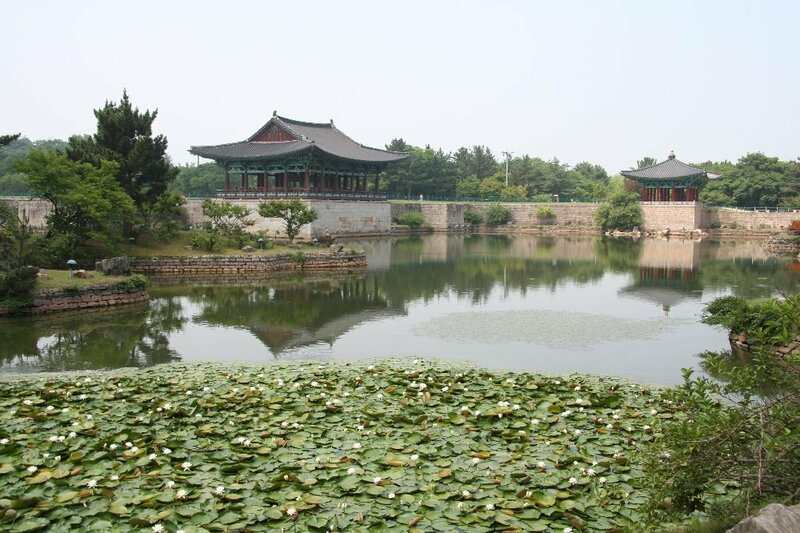 It has 27 levels of stones in a round shape (Queen Seonduk was the 27th ruler of the Shilla Dynasty) with four sets of parallel bars to make a square-shaped structure on its top. The ends of the parallel bars jut out several inches from the surface and might have been a support for a staircase used to reach the top. The 12 rectangular base stones are positioned in a square, three on each side, representing the four seasons and twelve months of each year. The twelve tiers of stones to the window entrance and twelve tiers above the window opening also represent the 12 months of the year (or the 12 symbols of the zodiac). For over two thousand years, astronomers studied the movements of stars and planets and charted them. They predicted solar and lunar eclipses, as well as the courses of comets. Court astrologers reported and interpreted their findings to the King who would then act according to their predictions. The stars dictated all aspects of policy making: agricultural developments, celebrations, wars, and other events and festivals. Astrology also shaped people's views of life and the universe. Koreans still tend to believe that the exact time of birth for each person is closely governed by the heavens. 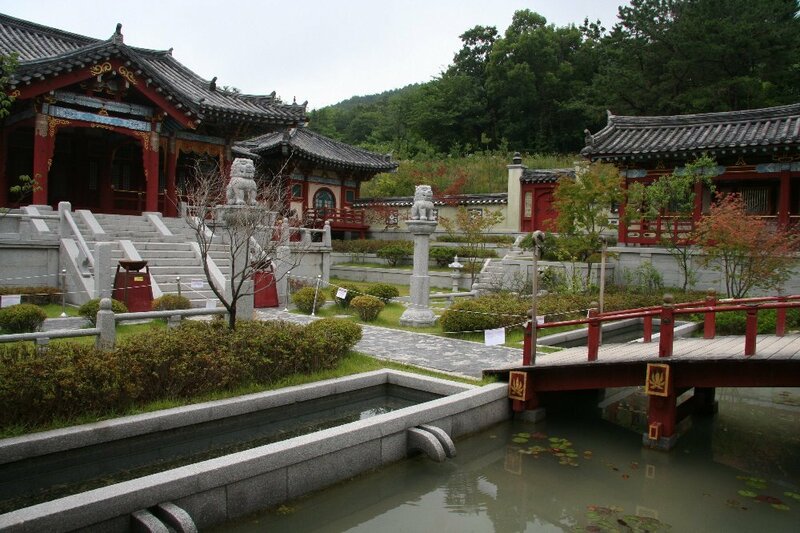 King Munmu (the king responsible for unifying the Shilla, Koguryo, and Paekche kingdoms) built Anapji Pond in 674 as a pleasure garden. 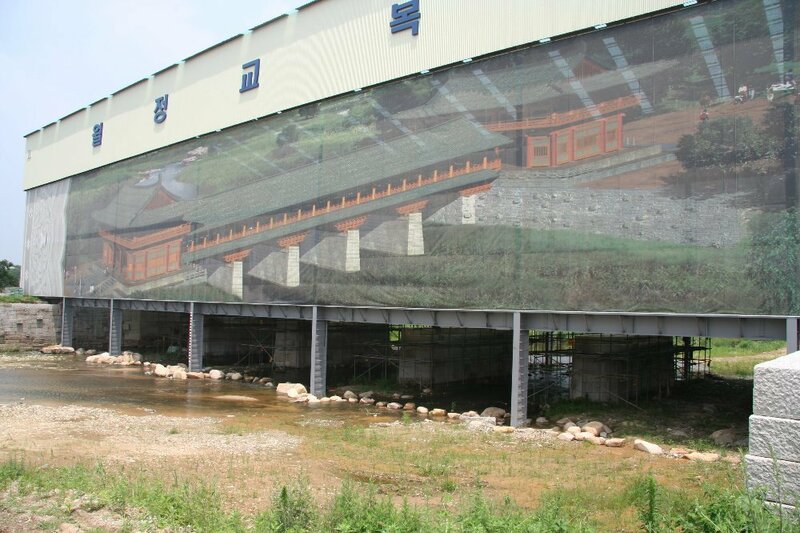 He designed the pond so that one cannot view the entire pond at once. Only a small portion of the original palace remains. In 1975 when the pond was drained for repairs, workers found a wealth of treasures that had been underwater. 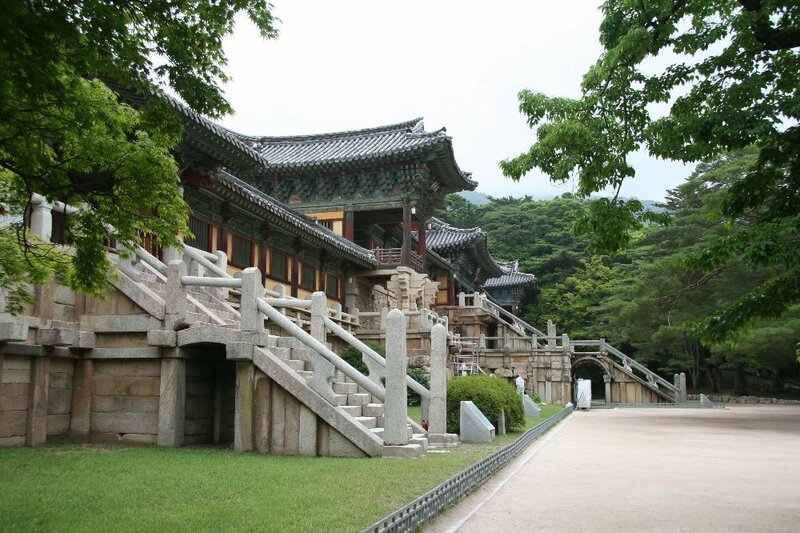 As one of the detached palaces, of the Silla royal family’s main palace, this structure was used as the crowned prince’s palace. 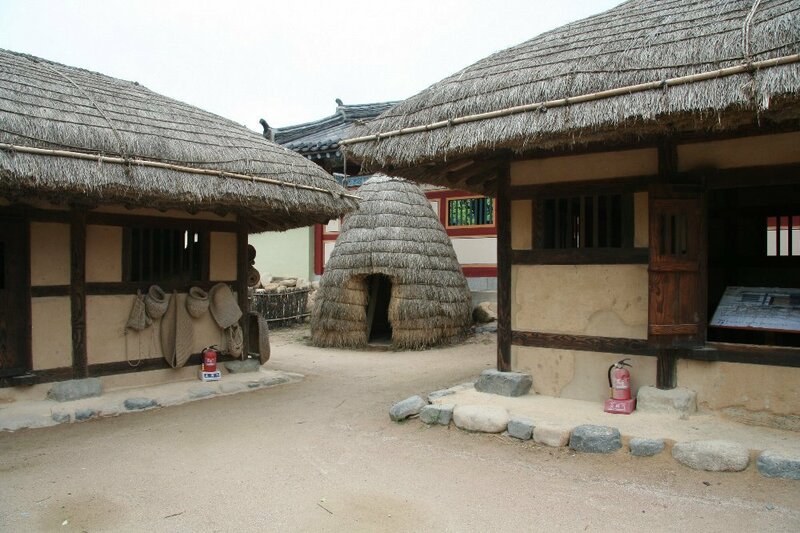 Imhaejeon is historically the most important building on the property and historical books often refer to the surrounding area as a whole simply as Imhaejin. An excavation resulted in the discovery of several buildings , Hoerang (corridor area), Anapji Pond and five towers in the western portion of the site . While some sites have been restored others have been left in the natural form, only leaving the corner stones in sight. The restoration of the bridge that connected the palace to the town is currently underway. 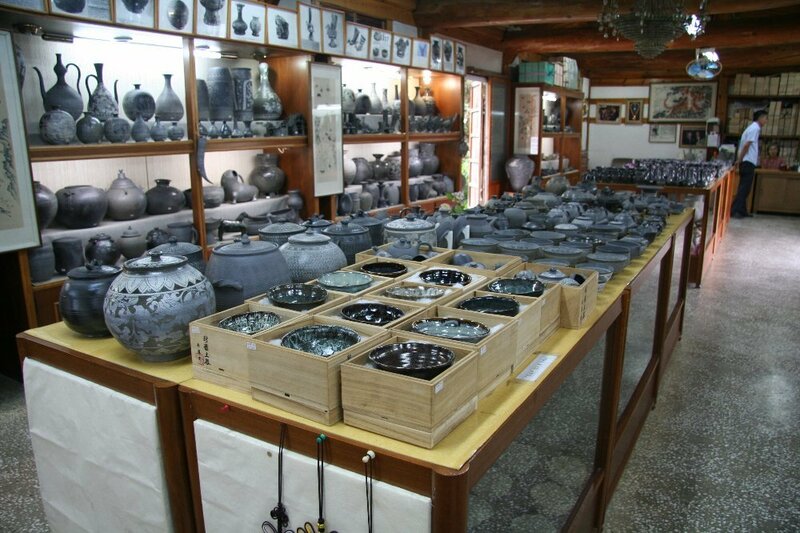 Gyeongju National Museum is the essence of the Silla culture in general with 2,500 artifacts including the prehistoric relics and the Buddhist artifacts on display and 80,000 in storage. 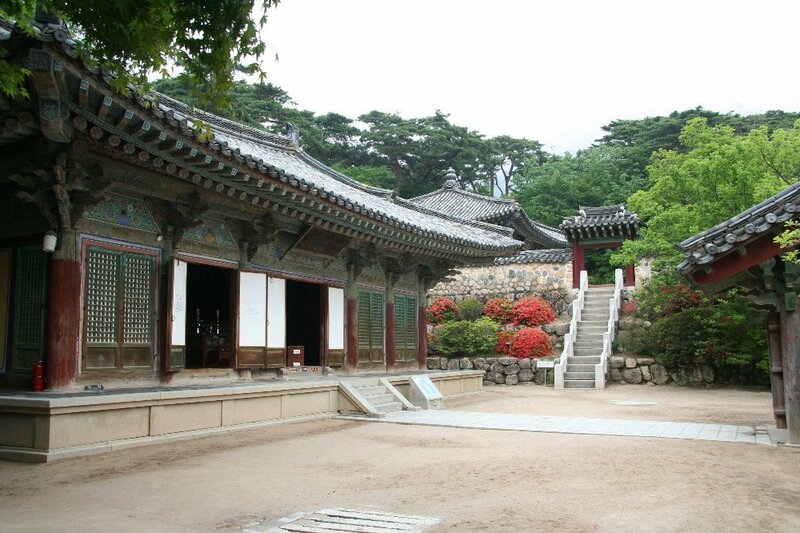 Poseokjeong Pavilion is where the Silla kings used to hold poetry-reciting and drinking parties. Kings would float wine cups to their statesmen seated around the watercourse made in the shape of an abalone shell.